This years Islay's Festival looked like the busiest one ever, at least it did to me. There are hardly any "official numbers" but I've been told that there were 2,500 people attending Bruichladdich Open Day, that's almost the entire Islay population. And in between all the whisky tastings, distilleries open days and other whisky related events there was one whih stood out from the rest, not by the number of attendees but by the product that was launched. 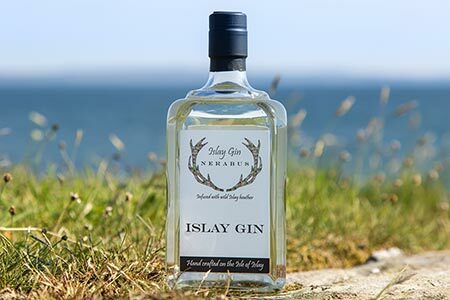 It was Nerabus Islay Dry Gin, distilled and bottled in Nerabus by John and Audrey Gow. And because today, the 9th of June, is World Gin Day, this is a good opportunity to give you some more information about this second Islay gin distillery.